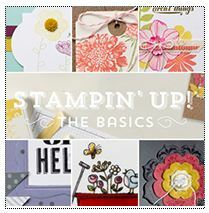 Learn innovative ways to get the most out of your supplies (from stamps to the Big Shot) with clever tips and all the techniques you need to start creating with success. Divided into six sections focused on a variety of topics, this class includes videos, step outs, and supply lists for 30+ projects. Join the fun! THESE ARE DOWNLOADABLE ZIP FILES. YOU DO NOT NEED MY DIGITAL STUDIO TO TAKE ADVANTAGE OF THE CLASS! After purchasing and downloading the class, open “Stampin’Class–The Basics” folder and there will be 6 individual “sessions” folders inside. Click on each and enjoy!